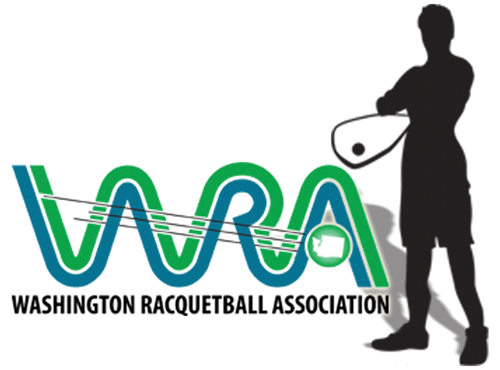 The Washington Junior Racquetball Association (WJRA) is determined to make tournaments more affordable for juniors and their families. Currently, the WJRA pays half of the entry fee for sanctioned junior events. For Junior State Singles and Regionals, the WJRA will pay for the first event fee ($30 at State Singles). In addition, the WJRA is committed to helping with the USAR memberships fee. The first time a junior registers for a sanctioned tournament, the WJRA will pay for the $25 USRA membership. In the following years, the WJRA will pay half of the USRA membership ($12.50). If a junior would like to play in state singles, and they are sending in their entry form by mail, they should send it without the $30 fee and add a note indicating “they are a junior and their first event is paid – per Wanda Collins”. If they wish to play in two events, they should send in the $10 second event fee with their entry. If they enter on line, Wanda will reimburse them $30 at the tournament site. Contact Wanda Collins with any questions.